Total of 148.77 acres with 123 workable all systematic tiled since 2012. Another 5 acres could be cleared. This is a bare land parcel. Yields have been excellent at 185 bu corn and 50+ bu beans. 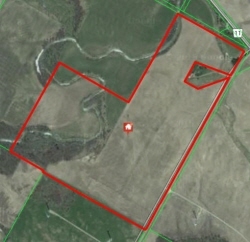 A 33’ road access at south end of farm is owned by Seller.